For some reason I have a really hard time finding swim goggles that don’t leak. I’m not sure if it is the size or shape of my eye sockets, or the bridge of my nose, but for whatever reason most goggles don’t work for me. The majority of goggles will either leak as soon as I put my face in the water, or when I do a flip turn in the pool. Either way, if they leak they are completely useless to me for distance training. If I have to stop every couple of lengths in the pool to clear my goggles, I am not getting a good workout. When it comes to distance cardio I prefer swimming over running, so a reliable pair of swim goggles are important to me. I also like using goggles rather than a full mask during static and dynamic freedive training as that helps expose more of the trigeminal nerve to the water helping to trigger my MDR (mammalian dive reflex). A number of swim goggles I tested which all leaked on my face. In the past when I found a good pair of goggles I would buy several pair of them. That way when the first pair wore out, or got lost I would still have another pair that fit. I finally lost the last of a series of goggles I had been using for around 15 years, and suddenly I was faced with having to find a replacement for a goggle that was no longer made. I’ve gone through around 10 pair of goggles in the last six months, and have been really disappointed. Every pair I tried leaked. The shortage of sports shops that actually stock choices of different styles of swim goggles to try on just make this process all the more difficult. 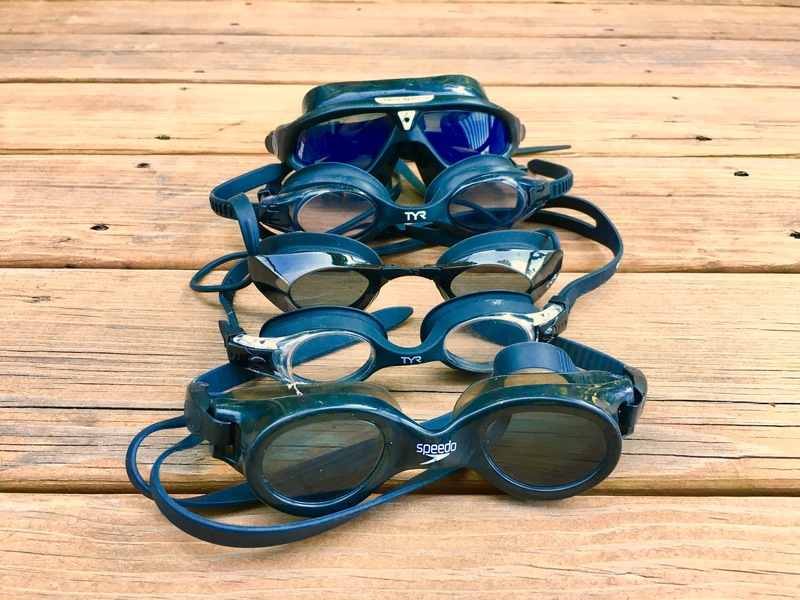 In a random stroke of luck East Coast Divers ordered in a few new pars of goggles for the summer, and one of the styles was the Aqua Sphere Kayenne Goggle. Trying on swim goggles in the shop is always best because you can get a preliminary feel for if they fit your face or not. Similar to fitting a dive mask, I try to seat the goggles to my eye sockets without using the head strap to see if they will form a seal and create enough suction to stay on my face. For the first time in a while of trying on many different goggles, the Aqua Sphere Kayenne stuck right to my face! I kept repositioning them to see how easily I could pull them away from my eyes, but they kept a good seal allowing them to suction to my face. For the first time in a while I actually had hope that I might have found a pair that wouldn’t leak. Another feature that I would like to point out about these swim goggles is that the strap adjustment on them is very similar to the way Mares or Aqualung dive masks control the adjustment, and is a bit more sturdy than some of the other swim goggles I have used. They have a one-touch, quick-fit buckle on either side of the frame for simple adjustments. This keeps them from getting loose during a swim, or even changing size while you store them between uses. The next test was to take them to the water. I headed out for a swim across Quincy bay for my test. The way these swim goggles fit when dry gave me hope that they would perform well in the water, but I have been disappointed before, so I was a bit apprehensive. Had I just spent another twenty something dollars on a pair of goggles that were of no use to me? Luckily not! I did a couple of miles in the ocean with no leaks. This made for a great swim, and a very happy marine mammal. A couple days later I took them to the pool to see if they would flood during a flip turn, and they performed perfectly during that as well. Finally I have found a new pair of swim goggles that work for me. Now I just have to hope that they keep making the Aqua Sphere Kayenne goggles for at least a few years. Perhaps I will buy a few pair to stockpile just in case. 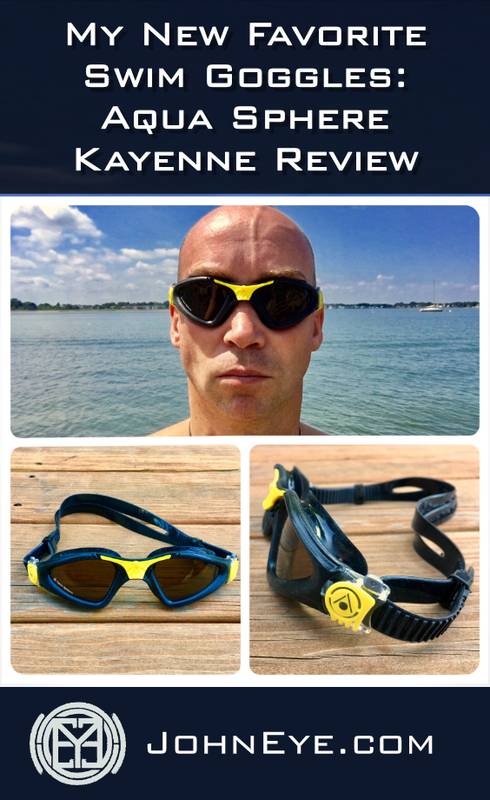 So if you have a difficult time finding swim goggles to fit your face, I would suggest that the Aqua Sphere Kayenne goggles would be worth a try as they worked well for me. Obviously everyones face shape is unique, so your milage may vary. You can buy them online through SwimOutlet.com or drop by East Coast Divers to try them on in person. If you try these, let me know how they worked for you, or if you have experience with other brands of swim goggles that you recommend leave a comment. Happy swimming.